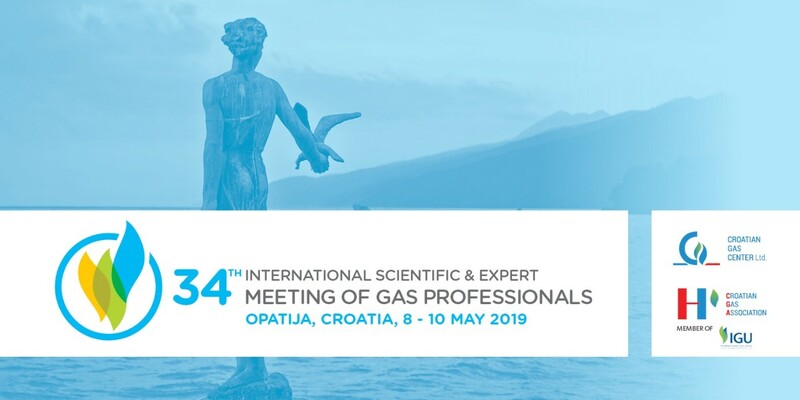 The 34th edition of the International Scientific & Expert Meeting of Gas Professionals will open its doors on 8th of May, 2019 traditionally in Opatija, Croatia. During three days of the event 600 delegates, representing more than 200 companies and institutions, almost 70 respected speakers and 50 exhibitors from more than 20 countries will attend the event. Prominent gas event organized by Croatian Gas Association, member of the International Gas Union (IGU) and Croatian Gas Center Ltd. is under the high auspices of the president of the Republic of Croatia Kolinda Grabar-Kitarovic and the Ministry of environment and energy of Republic of Croatia. Conference will cover 10 thematic sessions and 3 interesting panel discussions that stretch along the entire natural gas chain, application of new technologies as well as the key issue that will determine the development of natural gas and energy markets in the near future. In the first keynote speech Francisco de la Flor, director of Enagas and the vice-chair of the International Gas Union Task Force 3 will present the Triennium Working Program 2018-21 of the IGU Task Force 3 – Energy policy. IGU – Task Force 3´s (TF3) is identifying the good/best energy policies to promote the natural gas as important part of the energy future by collecting cases studies for global, national and regional policies in a structured way which allows their comparison, as well as the identification and sharing of good/best policies. The TF3 will address the main topics under IGU´s scope, which are: Greenhouse gas emissions; Air quality; Gas & renewable energies; Gas for transport; Energy access & economic development; Energy efficiency. Prof. Igor Dekanic, D.Sc. from the Faculty of Mining, Geology and Petroleum Engineering, University in Zagreb, will elaborate the basic elements of geopolitical influences on the use of gas sources and available transport routes in a changing market conditions. Gas expert Stevo Kolundzic, D.Sc. will speak about natural gas prices predictability in comparison to other energy sources. Prof. Dr. Ing. Gerhard Schmitz from the Hamburg University of Technology will give a short overview about energy storages for resilient energy systems with a high amount of renewables and he will mention the meaning of gas as a storable energy carrier. 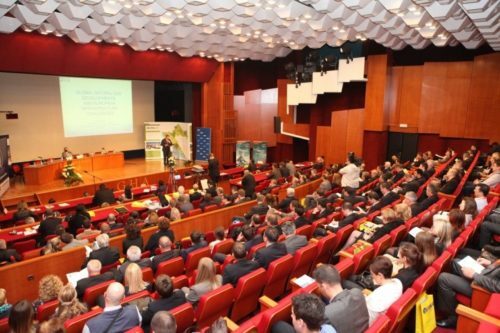 The conference will present the current situation and future construction of gas infrastructural facilities in the Republic of Croatia (LNG terminal on the island of Krk, evacuation gas pipelines and expansion of the transport network, compressor stations and peak gas storage facility). There will also be talks on the use of smart technologies in the gas and energy systems, innovation and transfer of technologies and their role in the gas industry and introductory speeches and panel-discussion on today’s gas market in the EU and Croatia and future challenges. Dr. Jeffrey M. Seisler, CEO of Clean Fuels Consulting, will present an interesting speech titled „Funding Opportunities for NGVs: A Roadmap to Brussels“ on the potential of the use of gas in transport and associated issues like the opportunities in financing from EU funds of development projects for NGVs. This includes CNG, LNG, and renewable biomethane for over-the-road and marine applications as well as the development of the fuelling infrastructures. It also includes other European institutions such as the European Investment Bank, which provides loans for a variety of different energy and entrepreneurial projects. Opportunity for LNG to become the fuel for the maritime transportation in the light of the new IMO regulations will also be discussed at the event. Dr. Jeffrey M. Seisler was the founding Executive Director of the European Natural Gas Vehicle Association (ENGVA), the founding Executive Director of the Natural Gas Vehicle Coalition (NGVC) and one of the founders and the former president of the NGV Global, the International Association for NGVs. He is a recognized champion of NGV development and continues to do regulatory and advocacy work at the United Nations and the European Commission. Many paper presentations will discuss the issues relating to gas distributers in terms of system efficiency and security. News in the technical regulations and the rules of the profession for the safe and efficient use of gas and their application in practice will be an important topic of the upcoming Meeting. In addition to verbal presentations of scientific and professional papers a poster session will be held, featuring papers by numerous experts from different energy sectors. 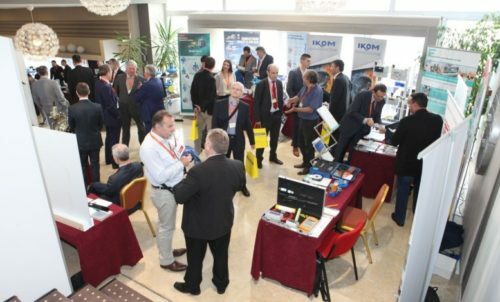 The conference will be followed by the gas equipment and technology exhibition which will bring together 50 local and foreign exhibitors, mainly manufacturers and dealers of gas equipment, as well as many other renowned companies which will present its advanced technical solutions for the gas and energy industry. All companies – gas market participants are invited to take advantage of this unique opportunity to present its products, services and projects by exhibiting gas equipment and other advanced gas technologies solutions, promotional posters, leaflets and brochures on indoor and outdoor exhibiton units. Mobile application available few weeks before the opening ceremony and networking events in Opatija will secure enough time for interactive networking and new business opportunities. SECURE YOUR PLACE ON TIME!